American CPR Training's "Accident Investigation" Program teaches employees steps that are taken in an accident investigation, and highlights how important it is for employees to fully cooperate with any inquiry. It also points out that while an investigation's focus is to determine the cause of an accident, the overall goal is to prevent similar accidents from happening again. The Program includes information on the goals of an accident investigation, securing an accident scene, "root-cause" analysis, the importance of investigative interviews, assisting in an accident investigation, the importance of warning signs in accident prevention, reporting the "near misses", the role of policies, equipment and training on accident prevention, and more. The Program includes Lecture, Video, Employee Handouts, Employee Quiz, and Employee Training Certificates. Get a Quote for Accident Investigation Training at your Location & Schedule Now! American CPR Training's "Safety Housekeeping and Accident Prevention" Program demonstrates to employees how to prevent workplace accidents by paying attention to safety housekeeping considerations. Good safety housekeeping can significantly reduce accidents and injuries in any type of work environment. By developing good safety habits, and by being aware of their work environment and any hazards associated with it, employees can help to create a much safer workplace. The Program includes information on safety awareness, handling rubbish and excess materials, keeping aisles and stairways clean, using ropes and electric cords, dealing with hazardous chemicals, tool maintenance, proper tool storage, and more. The Program includes Lecture, Video, Employee Handouts, Employee Quiz, and Employee Training Certificates. Get a Quote for Accident Prevention Training at your Location & Schedule Now! American CPR Training's "Accidental Release Measures and Spill Cleanup Procedures" HAZWOPER Compliance Training Program discusses the plans and procedures necessary to safely contain and cleanup a hazardous materials spill. Hazardous materials and waste are part of many work situations, and can be found on many types of job sites. OSHA feels that it is so important for employees to know how to recognize these potentially dangerous substances (as well as how to handle and dispose of them properly) they have mandated that anyone working with these substances receive comprehensive training in this area. In 1976, the U.S. Environmental Protection Agency (EPA) issued the Resource Conservation and Recovery Act (RCRA) to regulate the handling of hazardous waste "from cradle to grave". Since then other regulations have followed, including OSHA's 29 CFR 1910.120, also known as HAZWOPER. As part of these regulations, there are varying requirements for employee training, depending on an employee's specific level of involvement with hazardous materials. Areas covered in the program include the hazard communication program, the emergency response plan, the five levels of HAZWOPER emergency response training, personal protective equipment, site characterization, spill cleanup, decontamination procedures, and more The Program includes Lecture, Video, Employee Handouts, Employee Quiz, and Employee Training Certificates.... and is approximately two hours of classroom training. Get a Quote for Hazardous Materials Cleanup Training at your Location & Schedule Now! American CPR Training's "The ANSI Material Safety Data Sheet" Program has been specifically created to educate employees about the ANSI MSDS format. The American National Standards Institute (ANSI), working with the Chemical Manufacturer's Association (CMA), has developed the first standard format for Material Safety Data Sheets (MSDS). While this new MSDS format is not required under the OSHA Hazard Communication Standard, OSHA is encouraging its use. Perhaps as important, most of the large chemical manufacturers in the United States appear to be adopting this MSDS format. The Program includes information on the importance of the MSDS, the MSDS's role in the hazard communication standard, advantages of the ANSI format, the four basic questions the ANSI MSDS is designed to answer, review of the sections in the ANSI material safety data sheet, and more. The Program includes Lecture, Video, Employee Handouts, Employee Quiz, and Employee Training Certificates. *American CPR Training's "The ANSI Material Safety Data Sheet" HAZWOPER Compliance Training Program educates employees about the ANSI MSDS format and reviews how the information in an MSDS can help them work safely with potentially hazardous chemicals. Hazardous materials and waste are part of many work situations, and can be found on many types of job sites. OSHA feels that it is so important for employees to know how to recognize these potentially dangerous substances (as well as how to handle and dispose of them properly) they have mandated that anyone working with these substances receive comprehensive training in this area. In 1976, the U.S. Environmental Protection Agency (EPA) issued the Resource Conservation and Recovery Act (RCRA) to regulate the handling of hazardous waste "from cradle to grave". Since then other regulations have followed, including OSHA's 29 CFR 1910.120, also known as HAZWOPER. As part of these regulations, there are varying requirements for employee training, depending on an employee's specific level of involvement with hazardous materials. Areas covered in the Program include the importance of the MSDS, the MSDS's role in the Hazard Communication Standard, advantages of the ANSI Format, the four basic questions that the ANSI MSDS answers, a review of the sections in the ANSI Material Safety Data Sheet, and more. The Training Program comes with a comprehensive Leader's Guide, reproducible Scheduling & Attendance Form, Employee Quiz, Training Log and Training Certificates... and is used as the basis for approximately two hours of classroom training. Get a Quote for ANSI Material Safety Data Sheet Training at your Location & Schedule Now! American CPR Training's "Material Safety Data Sheets in the Laboratory" Training Program reviews the various sections of the MSDS, what information can be found in each section and most importantly, how this information can help employees to work safely in their laboratory. All potentially hazardous materials entering a laboratory have a Material Safety Data Sheet (MSDS). But to make good use of the information on an MSDS, employees need to understand how it is organized and what it contains. Areas covered in the program include the purpose of Material Safety Data Sheets (MSDSs), sections of the MSDS, information found in each section, how MSDS information can help employees work safely, and more. The Program includes Lecture, Video, Employee Handouts, Employee Quiz, and Employee Training Certificates. This Training Program is one of 12 in the “Elements of Safety” Laboratory Safety Training Series. Get a Quote for ANSI MSDS in the Laboratory Training at your Location & Schedule Now! American CPR Training's "Asbestos Awareness" Program has been created specifically to educate employees about the dangers of working with materials that may contain Asbestos. In August of 1994, OSHA issued 29 CFR 1910.1101... "Occupational Exposure to Asbestos." This regulation requires that all employees who could come into contact with materials that might contain Asbestos be given appropriate training on working safely in these situations. Employees are divided into four classes. Classes I - III are employees whose work involves "installing" or "disturbing" materials that might contain Asbestos. However, the largest group of employees covered by this regulation fall into the Class IV group, which involves employees that get involved in... "maintenance and custodial activities to clean up waste and debris containing these types of materials." Since many materials commonly used in buildings for many years (including ceiling tiles, vinyl flooring, and wall and pipe insulation) contain Asbestos, this means that the regulation applies to virtually every custodial, janitorial and maintenance worker in the country. The Program provides the majority of the information needed to satisfy the training requirements for Class IV employees under the OSHA regulation. The Program includes information on hazards of asbestos, OSHA's asbestos standard, composition and nature of asbestos, types of materials that may contain asbestos, and where they are encountered, limiting exposure to asbestos, how to protect yourself when disturbing a material that may contain asbestos, air monitoring and decontamination, and more. The Program includes Lecture, Video, Employee Handouts, Employee Quiz, and Employee Training Certificates. Get a Quote for Asbestos Awareness Training at your Location & Schedule Now! American CPR Training’s “Back Safety” Program emphasizes the importance of overall back care, both at work and at home, including exercises and weight control. For many employees, back injuries are something that "happens to the other person... not to me." Yet four out of five people will experience some type of back problems during their lives. And many back injuries are caused by common activities experienced both on and off the job... such as lifting, climbing, reaching, etc. The Program includes information on how the back works, common types and causes of back injuries, effects of back injuries, injury prevention and safety practices, proper lifting techniques, basic back exercises, and more. The Program includes Lecture, Video, Employee Handouts, Employee Quiz, and Employee Training Certificates. Get a Quote for Back Safety Training at your Location & Schedule Now! American CPR Training’s "Bloodborne Pathogens in Heavy Industry" Regulatory Compliance Program ... updated to incorporate the latest medial language and guidelines... has been specifically created to assist facilities in fulfilling the OSHA Bloodborne Pathogens Standard's (29 CFR Part 1910.1030) training requirements. Bloodborne diseases are a serious concern in the United States. "Hepatitis B" infects over 70,000 people annually, and has over one million "carriers" in the U.S. The HIV virus, which usually leads to AIDS, currently infects over one million people. Because of the increasing problems with these diseases, in 1991 OSHA passed a "Bloodborne Pathogens" regulation. Materials in the Kit include a Program, a Compliance Manual, five motivational Posters, and 30 Employee Booklets. 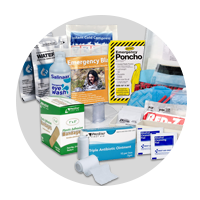 The Kit addresses the major areas needed to comply with the Standard. A Compliance Manual containing a "fill-in-the-blank" Exposure Control Program, as well as other materials needed to help meet compliance requirements, is included. The Posters in the Kit emphasize the importance of preventative measures. The Videotape and Employee Booklets include information on the contents of the standard, epidemiology and symptoms of bloodborne diseases, modes by which bloodborne disease is transmitted, the exposure control plan, recognition of exposure situations, practices to prevent exposure, HBV vaccination, emergency procedures, signs and labels, selection and use of personal protective equipment, and more. Get a Quote for BBP in Heavy Industry Training at your Location & Schedule Now! American CPR Training's "Understanding Chemical Hazards" HAZWOPER Compliance Training Program... part of the HAZWOPER Annual Retraining Series... introduces employees to chemical hazard regulations and provides training on the various types of hazardous chemicals found in industrial environments. Hazardous materials and waste are part of many work situations, and can be found on many types of job sites. OSHA feels that it is so important for employees to know how to recognize these potentially dangerous substances (as well as how to handle and dispose of them properly) they have mandated that anyone working with these substances receive comprehensive training in this area. In 1976, the U.S. Environmental Protection Agency (EPA) issued the Resource Conservation and Recovery Act (RCRA) to regulate the handling of hazardous waste "from cradle to grave". Since then other regulations have followed, including OSHA's 29 CFR 1910.120, also known as HAZWOPER. As part of these regulations, there are varying requirements for employee training, depending on an employee's specific level of involvement with hazardous materials. Areas covered in the program include chemical hazard concepts, types of hazardous chemicals, characteristics and effects of various types of chemicals, the Material Safety Data Sheet (MSDS), container labeling, safe handling practices, use of Personal Protective Equipment (PPE), spills and cleanup, and more. The Program includes Lecture, Video, Employee Handouts, Employee Quiz, and Employee Training Certificates.... and is approximately two hours of classroom training. Get a Quote for Understanding Chemical Hazards Training at your Location & Schedule Now! American CPR Training's "Compressed Gas Cylinders" Program provides the information employees need to handle and transport these potentially volatile storage containers. In today's work environments, Compressed Gas is used for many things... refrigeration... welding... heating... and a number of other functions. Compressed Gas can be dangerous, and employees who work with them need to know how to handle them properly. The Program includes information on associated hazards, moving and transporting cylinders safely, positioning cylinders properly, proper "hook-up" procedures, safe storage practices, storage "incompatibilities", and more. The Program includes Lecture, Video, Employee Handouts, Employee Quiz, and Employee Training Certificates. Get a Quote for Compressed Gas Cylinder Training at your Location & Schedule Now! American CPR Training's "Handling Compressed Gas Cylinders in the Laboratory" Training Program examines how gas cylinders "work", the hazards that are associated with them and the need for caution when using or storing a cylinder. The energy possessed by a compressed gas cylinder can make it a virtual "missile" if it is not handled with the utmost care. And a leaking cylinder or fitting can lead to asphyxiation, a fire or even an explosion. Since compressed gas cylinders are frequently used in many laboratories, employees need to be familiar with the precautions that should be taken when dealing with them. Areas covered in the program include the four ways to compress gases, hazards associated with compressed gases, proper storage procedures, marking and labeling, handling cylinders safely, connections and fittings, leak detection, and more. The Program includes Lecture, Video, Employee Handouts, Employee Quiz, and Employee Training Certificates. This Training Program is one of 12 in the “Elements of Safety” Laboratory Safety Training Series. Get a Quote for Handling Compressed Gas in Lab Training at your Location & Schedule Now! American CPR Training's "Confined Space Entry" Program addresses the major areas of employee training required by the regulation. This Program was created specifically for OSHA's Permit Required Confined Space Regulation (29 CFR Part 1910.146). Because of OSHA's broad definition of "Confined Space", this Program will be useful to a number of different types of facilities, including manufacturers, utilities, petroleum and chemical industries, hospitals and many others. The Program includes information on contents of the standard, responsibilities of the employer, entry supervisors, attendants and entrants, identifying permit spaces, types of hazards that can be encountered, safety equipment, dealing with emergencies and rescue teams, and more. The Program includes Lecture, Video, Employee Handouts, Employee Quiz, and Employee Training Certificates. Get a Quote for Confined Space Entry Training at your Location & Schedule Now! American CPR Training's “Confined Space Entry Regulatory Retraining” Program gives employees the information they need to refresh their knowledge of OSHA regulations... as cost effectively as possible. The program reviews highlights of the OSHA regulation and reminds employees of the importance of compliance. All of OSHA's recent regulations not only call for employees to receive initial training, but require that employees knowledge be "refreshed"... through retraining... on at least an annual basis. Since the detailed information that is required by the regulations has normally been given to employees during their initial training, retraining sessions can usually focus on reminding employees that they should be paying attention to the regulation in question... and heightening their "awareness" about how the regulation affects their jobs. Areas covered in the program include general information about the safety or health issue the regulation addresses, the basics of the regulation itself, major compliance requirements, safe work practices, personal protective equipment, and more. The Program includes Lecture, Video, Employee Handouts, Employee Quiz, and Employee Training Certificates. Get a Quote for Confined Space Regulatory Retraining at your Location & Schedule Now! American CPR Training's "Adult, Child, & Infant Cardiopulmonary Resuscitation" training program covers appropriate rescue techniques for patients of all ages as well as critical background information about heart disease, risk factors, prudent heart living, and heart and lung function. Students learn the signs and symptoms of heart attack, stroke and choking emergencies, as well as the most current medical responses available to bystanders. The Program includes Lecture, Video, Employee Handouts, Employee Quiz, and Employee Training Certificates valid for two years. 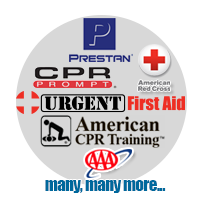 Get a Quote for Adult, Child & Infant CPR Training at your Location & Schedule Now! American CPR Training's "Crane Safety" Program points out to employees that over 90% of crane-related accidents are caused by human error... and that they are the key to preventing these incidents. While there are many different types of Cranes, they all have the ability to make many jobs much easier by lifting enormous weight. But they also share the potential for disaster when they are not operated safely. Crane-related accidents can often be deadly, due to the cumbersome and heavy loads that are lifted. A small miscalculation, or a brief moment of inattention, and tragedy could strike. Once a load falls, not much can be done to stop it, and there is little time for people to move safely out of the way. A coworker could be injured or killed, and expensive equipment or materials could be damaged or destroyed... even the crane itself. The Program includes information on physical and mental preparation, equipment inspection, hazard assessment, boom cranes, jib cranes, overhead cranes, general and operational safety devices, crane operations, hand signals, and more. The Program includes Lecture, Video, Employee Handouts, Employee Quiz, and Employee Training Certificates. Get a Quote for Crane Safety Training at your Location & Schedule Now! American CPR Training's "Decontamination Procedures" Training Program instructs employees on how to remove contaminants that accumulate on clothing and equipment. Hazardous materials and waste are part of many work situations, and can be found on many types of job sites. OSHA feels that it is so important for employees to know how to recognize these potentially dangerous substances (as well as how to handle and dispose of them properly) they have mandated that anyone working with these substances receive comprehensive training in this area. In 1976, the U.S. Environmental Protection Agency (EPA) issued the Resource Conservation and Recovery Act (RCRA) to regulate the handling of hazardous waste "from cradle to grave". Since then other regulations have followed, including OSHA's 29 CFR 1910.120, also known as HAZWOPER. As part of these regulations, there are varying requirements for employee training, depending on an employee's specific level of involvement with hazardous materials. Areas covered in the program include safe work practices, engineering controls, levels of personal protection, the Exclusion Zone, heat stress, the need for decontamination, the Contamination Reduction Corridor (CRC), decontamination equipment and solutions, decontamination procedures, and more. The Program includes Lecture, Video, Employee Handouts, Employee Quiz, and Employee Training Certificates. Get a Quote for Decontamination Procedures Training at your Location & Schedule Now! American CPR Training's "DOT HAZMAT General Awareness" Program ... updated to incorporate the latest changes in the regulations... focuses on employees who handle hazardous materials. The Program reviews a number of topics aimed at making these employees more aware of situations in which they may encounter hazardous chemicals... and the nature of the hazards the chemicals may have. Created specifically for the Department of Transportation's HAZMAT Training regulation on Handling and Transporting Hazardous Materials, this Program provides the information necessary to comply with the regulation's "General Awareness" training requirement. (While this Program can be used by itself, it can also be used as a companion product to American CPR Training's DOT HAZMAT "Safety Training" Program). The Program includes information on the regulation itself, hazardous materials, definitions and classes, hazard communication, hazard "indicators" such as labels, shipping papers and placards, where hazardous materials may be encountered, packaging, shipping, transport (trucks, ships, rail, etc. ), storage, and more. The Program includes Lecture, Video, Employee Handouts, Employee Quiz, and Certs. Get a Quote for DOT HAZMAT General Awareness Training at your Location & Schedule Now! American CPR Training's "DOT HAZMAT Safety Training" Program ... updated to incorporate the latest changes in the regulations... focuses on employees who handle hazardous materials. The program makes employees aware of the hazards associated with the materials they handle... and shows them how to work with these materials safely. Created specifically for the Department of Transportation's HAZMAT Training regulation on Handling and Transporting Hazardous Materials, this Program provides the "Safety Training" required by the regulation. (While this Program can be used by itself, it can also be used as a companion product to American CPR Training's DOT HAZMAT "General Awareness" Program). The Videotape and Employee Booklets include information on the regulation itself, hazardous materials that employees may encounter, hazard "indicators", such as labels, shipping papers and placards, the use of personal protective equipment, proper handling procedures, methods and procedures for avoiding accidents, accidents/emergencies involving hazardous materials, spills and cleanup procedures, and more. The Program includes Lecture, Video, Employee Handouts, Employee Quiz, and Employee Training Certificates. Get a Quote for DOT HAZMAT Safety Training at your Location & Schedule Now! American CPR Training's "Driving Safety" Program provides the information employees need to drive cars, vans and small trucks safely, both on and off the job. Most employees travel the roads every day... in cars, vans or trucks... many of them on company business. Each year, traffic accidents claim over 30,000 lives and cause more than a million serious injuries. In fact, motor vehicle crashes are the number one cause of death on the job. The Program includes information on inspecting the vehicle, adjusting seats, mirrors and other equipment, wearing seatbelts, mental preparation and concentration, creating a "safety cushion" around your vehicle, passing another vehicle, driving at night, adverse weather conditions, skidding and hydroplaning, what to do in case of an accident, and more. The Program includes Lecture, Video, Employee Handouts, Employee Quiz, and Employee Training Certificates. Get a Quote for Driving Safety Training at your Location & Schedule Now! American CPR Training's "Electrical Safety" Program reminds employees about electrical hazards they may face in their jobs, and provides the information they need to work safely around low voltage electricity. Electricity is all around us. It lights up our homes... powers much of the machinery and equipment that we use... and runs many of our tools. We are so used to it, most employees "take it for granted." Yet electricity can also be dangerous. Employees need to know how electricity works, and what they should do to protect themselves from its hazards. This program also satisfies the OSHA training requirements under 29 CFR Part 1910.331 (Electrical Safety Standard) for "non-qualified" employees. The Program includes information on how electricity works, fuses and circuit breakers, grounding and GFIs, safe work practices, outlets, plugs and extension cords, working with electrical equipment, using ladders around electricity, electrical emergencies, and more. The Program includes Lecture, Video, Employee Handouts, Employee Quiz, and Employee Training Certificates. Get a Quote for Electrical Safety Training at your Location & Schedule Now! American CPR Training's "Emergency Planning" Program assists facilities in complying with various federal and state regulations and helps them prepare for potential emergency situations. Existing OSHA, SARA Title III, and numerous state regulations call for all facilities to meet a number of Emergency Preparedness/Crisis Management requirements. These include that every facility have an "Emergency Plan" that spells out what is to be done in case of an emergency, and that this Plan, as well as other important information, be shared with the local Emergency Planning Committee and emergency response groups such as the police, fire department and others. The Program includes information on types of emergencies, the emergency plan, the "crisis management team", evacuation, communications, the role of outside agencies, practice sessions and drills, and more. The Program includes Lecture, Video, Employee Handouts, Employee Quiz, and Employee Training Certificates. Get a Quote for Emergency Planning Training at your Location & Schedule Now! American CPR Training's "Exposure Monitoring and Medical Surveillance" HAZWOPER Compliance Training Program... part of the HAZWOPER Annual Retraining Series... discusses various types of exposure monitoring equipment and techniques. The program also explains "medical surveillance" and how it is used to evaluate the health of anyone who regularly works around Hazardous Materials. Hazardous Materials and Waste are part of many work situations, and can be found on many types of job sites. It is so important that employees know how to recognize these potentially dangerous substances, as well as how to handle and dispose of them properly, that OSHA mandates that anyone working with these substances receive comprehensive training in this area. In 1976, the U.S. Environmental Protection Agency (EPA) issued the Resource Conservation and Recovery Act (RCRA) to regulate the handling of Hazardous Waste "from cradle to grave". Since then other regulations have followed, including OSHA's 29 CFR 1910.120, also known as HAZWOPER. As part of these regulations, there are varying requirements for employee training, depending on an employee's specific level of involvement with Hazardous Materials. Areas covered in the program include direct-reading instruments, sampling collection devices, site characterization, general on-site monitoring, perimeter monitoring, personal monitoring, medical examinations and written medical opinions, and more. The Program includes Lecture, Video, Employee Handouts, Employee Quiz, and Employee Training Certificates.... and is approximately two hours of classroom training. Get a Quote for Exposure Monitoring Techniques Training at your Location & Schedule Now! American CPR Training's "Eye Safety" Program teaches how many eye problems are caused by not paying attention to the work employees are doing, or by not wearing the appropriate protective equipment. It reminds employees that eye injuries can easily happen to them and shows them how to prevent these injuries. Most employees take "healthy eyes" for granted. But our eyes are really very fragile, and statistics show that eye injuries occur frequently in the workplace. The Program includes information on physiology of the eye and how it functions, common eye injuries and how they are caused, short and long-term effects of eye injuries, eye care and safety practices, selecting and using appropriate personal protective equipment, and more. The Program includes Lecture, Video, Employee Handouts, Employee Quiz, and Employee Training Certificates. Get a Quote for Eye Safety Training at your Location & Schedule Now! American CPR Training's "Fall Protection" Program provides the information employees need to work safely when they are "off the ground", and satisfies the major training requirements in the OSHA Standard on Fall Protection. Falls are the second leading cause of death each year in the United States (after traffic accidents)! Over 10,000 people are killed every year as a result of falls...and 200,000 to 300,000 people are disabled. Eighty-five percent of all falls that occur on the job result in "lost work time". The Program includes information on the seriousness of fall hazards, types of environments where falls may occur, the "fall protection plan", concentrating and keeping a clear head, the importance of housekeeping in preventing falls, measures that can be taken to protect against falls, protective equipment, and more. The Program includes Lecture, Video, Employee Handouts, Employee Quiz, and Employee Training Certificates. Get a Quote for Fall Protection Training at your Location & Schedule Now! American CPR Training's "Fire Prevention and Safety" Program looks at what causes workplace fires, and what can be done to prevent them. It reviews steps that can be taken to help prevent fires, as well as what employees should do in case of a fire emergency. Among all the safety problems an employee can encounter, fire can be the most frightening. Every year workplace fires cause hundreds of millions of dollars in damage and result in numerous employee injuries, many of which are fatal. Yet many employees do not realize how their own work practices can contribute to the risk of fire. The Program includes information on common causes of workplace fires, importance of good "housekeeping”, other fire prevention measures, various types of fire extinguishers, using fire extinguishers, evacuation and other employee responsibilities, first aid, and more. The Program includes Lecture, Video, Employee Handouts, Employee Quiz, and Employee Training Certificates. Get a Quote for Fire Prevention and Safety Training at your Location & Schedule Now! American CPR Training's "First Aid" Program teaches employees that knowing basic first aid can often limit the severity of any type of injury, or even prevent a death. In most facilities, not a day goes by without some type of injury occurring. It can be as serious as a chemical burn, or as minor as a small cut. But any injury can be painful and affect an employee's work performance... as well as their life off the job. The Program includes information on cuts and bleeding, muscle pulls and sprains, burns, broken bones, shock, artificial respiration and CPR, and more. The Program includes Lecture, Video, Employee Handouts, Employee Quiz, and Employee Training Certificates. 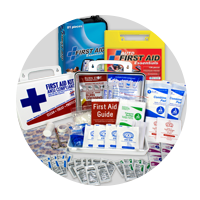 Get a Quote for First Aid Training at your Location & Schedule Now! American CPR Training's "Wellness and Fitness" Program teaches employees how small changes in lifestyles can produce big benefits. While wellness is a gradual process, eliminating negative lifestyle factors can help keep employees healthy. A good wellness and fitness program can significantly improve employees' safety records. Studies have found that accidents and injuries occur less frequently with employees who are healthier and in better shape. The Program includes information on the importance of "attitude”, blood pressure and other stress related conditions, smoking, nutrition and weight control, drug and alcohol use, exercise, and more. The Program includes Lecture, Video, Employee Handouts, Employee Quiz, and Employee Training Certificates. Get a Quote for Wellness and Fitness Training at your Location & Schedule Now! American CPR Training's "Flammables and Explosives in the Laboratory" Training Program discusses the nature of flammable and explosive materials, as well as hazards associated with their use. It also reviews the proper handling procedures and personal protective equipment that should be used when working with these substances. Flammables and explosives are some of the most dangerous materials used in a laboratory. When working with these substances, employees need to know their characteristics, as well as how to prevent accidents and injuries when using them. Areas covered in the program include definitions of flammables and explosives, conditions that can create hazards, the role of ventilation in preventing problems, transporting flammables and explosives, storage considerations, using compressed gases, emergency planning, disposal, and more. The Program includes Lecture, Video, Employee Handouts, Employee Quiz, and Employee Training Certificates. This Training Program is one of 12 in the “Elements of Safety” Laboratory Safety Training Series. Get a Quote for Flammables / Explosives in Lab Training at your Location & Schedule Now! American CPR Training's "Forklift Safety" Program ... updated to satisfy OSHA's current training requirements... reviews how to inspect forklift equipment prior to operation, safe operating procedures, forklift stability, and how to recognize potential problem situations. Forklifts are indispensable in many companies. They are rugged, powerful tools that save time, money and effort. But the same qualities that make forklifts so helpful can also make them dangerous. The annual injury toll from powered industrial trucks includes over 100 fatalities and over 35,000 serious injuries. When used incorrectly, or if forklifts are not properly maintained, they can inflict injury and costly damage. The Program includes information on equipment inspection, surveying the work area, safe operating procedures, recognizing potential problems, forklift stability and "center of gravity”, tip-overs, equipment maintenance, and more. The Program includes Lecture, Video, Employee Handouts, Employee Quiz, and Employee Training Certificates. Get a Quote for Forklift Safety Training at your Location & Schedule Now! American CPR Training's "The OSHA Formaldehyde Standard" Training Program provides training that is required by this Standard, focusing on the rules and procedures that the Standard establishes for working with this potentially dangerous chemical. While Formaldehyde is used in many laboratory operations, it can still be a significant health hazard. The results of mishandling Formaldehyde can be serious. They can range from the short-term discomfort associated with minor burns or skin irritation... to chronic effects from a lifetime of overexposure. Areas covered in the program include potential health hazards, testing for Permissible Exposure Limits (PEL), labeling and material safety data sheets, hoods and other ventilation systems, personal protective equipment, spill and cleanup and decontamination procedures, first aid, the medical surveillance plan, and more. The Program includes Lecture, Video, Employee Handouts, Employee Quiz, and Employee Training Certificates. This Training Program is one of 12 in the “Elements of Safety” Laboratory Safety Training Series. Get a Quote for OSHA Formaldehyde Standard Training at your Location & Schedule Now! American CPR Training's "Hand and Power Tool Safety" Program teaches how accidents can be significantly reduced by applying good general safety rules, and reviews what hazards are associated with the specific types of tools employees use. Hand and power tools are used every day in many types of business. They make our work easier and allow us to be more efficient. However, we often fail to see the hazards these tools present. The Program includes information on matching the tool to the job, the importance of "state of mind", personal protective equipment, good safety practices, tool care and maintenance, and more. The Program includes Lecture, Video, Employee Handouts, Employee Quiz, and Employee Training Certificates. Get a Quote for Hand and Power Tool Safety Training at your Location & Schedule Now! American CPR Training's "Hand, Wrist and Finger Safety" Program reviews hand, wrist and finger hazards and helps employees to take the steps necessary to avoid them. Each year over 500,000 people injure their hands, wrists or fingers. Nearly one out of four "on-the-job" accidents involve these parts of the body. To help reduce these problems it is important for employees to learn about the most common hazards to these areas of the body. 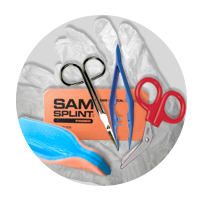 The includes information on physiology of the hand, wrist and fingers, identification of common hazards, proper work procedures, tool use and maintenance, using personal protective equipment, injuries and first aid, and more. The Program includes Lecture, Video, Employee Handouts, Employee Quiz, and Employee Training Certificates. Get a Quote for Hand, Wrist and Finger Safety Training at your Location & Schedule Now! American CPR Training's "Handling Hazardous Materials" Training Program instructs employees how to work safely with the chemicals that they encounter in their jobs. Hazardous materials and waste are part of many work situations, and can be found on many types of job sites. OSHA feels that it is so important for employees to know how to recognize these potentially dangerous substances (as well as how to handle and dispose of them properly) they have mandated that anyone working with these substances receive comprehensive training in this area. In 1976, the U.S. Environmental Protection Agency (EPA) issued the Resource Conservation and Recovery Act (RCRA) to regulate the handling of hazardous waste "from cradle to grave". Since then other regulations have followed, including OSHA's 29 CFR 1910.120, also known as HAZWOPER. As part of these regulations, there are varying requirements for employee training, depending on an employee's specific level of involvement with hazardous materials. Areas in the program include physical hazards, flammables and combustibles, explosives and oxidizers, corrosives and irritants, toxic substances and carcinogens, acute and chronic health effects, container labels and MSDS’s, emergency response and spillage/leakage/accident procedures, and more. The Program includes Lecture, Video, Employee Handouts, Employee Quiz, and Employee Training Certificates... and is approximately two hours of classroom training. Get a Quote for Handling Hazardous Materials Training at your Location & Schedule Now! American CPR Training's "Introduction to HAZWOPER Retraining" Training Program... part of the HAZWOPER Annual Retraining Series... reminds employees who deal with hazardous materials of the importance of identifying, evaluating, and controlling chemical hazards. Hazardous materials and waste are part of many work situations, and can be found on many types of job sites. OSHA feels that it is so important for employees to know how to recognize these potentially dangerous substances (as well as how to handle and dispose of them properly) they have mandated that anyone working with these substances receive comprehensive training in this area. In 1976, the U.S. Environmental Protection Agency (EPA) issued the Resource Conservation and Recovery Act (RCRA) to regulate the handling of hazardous waste "from cradle to grave". Since then other regulations have followed, including OSHA's 29 CFR 1910.120, also known as HAZWOPER. As part of these regulations, there are varying requirements for employee training, depending on an employee's specific level of involvement with hazardous materials. Areas covered in the program include background of the HAZWOPER regulations, the site safety and health plan, the emergency response plan, site characterization and the site control program, systems of controls, standard operating procedures, personal protective equipment, exposure monitoring, decontamination and medical surveillance programs, and more. The Program includes Lecture, Video, Employee Handouts, Employee Quiz, and Employee Training Certificates... and is approximately two hours of classroom training. Get a Quote for Introduction to HAZWOPER Retraining at your Location & Schedule Now! American CPR Training's “Hearing Safety” Program teaches employees why they should pay attention to "noise" hazards, and how they can protect themselves from hearing injuries. Over 15 million Americans have a measurable hearing loss, most often caused by "on-the-job" injuries. Everywhere we go we encounter noise. And if this noise is loud enough, or has certain characteristics, it can cause damage to our hearing... often permanently. Many employees don't realize that not only can hearing problems affect their work, they can alter their personal lives dramatically as well. The Program includes information on how the ear works, types of hearing problems, causes of hearing damage, potential effects of hearing injuries, noise avoidance and other safety practices, the use of personal protective equipment, and more. The Program includes Lecture, Video, Employee Handouts, Employee Quiz, and Employee Training Certificates. Get a Quote for Hearing Safety Training at your Location & Schedule Now! American CPR Training's "Heat Stress" Program reviews how heat effects the body, the steps that employees can take to prevent Heat Stress, and elementary first aid that can be given to a worker who has been affected by a heat-related illness. Each year thousands of employees suffer the adverse effects of Heat Stress. Whether they work outdoors under the hot summer sun, or indoors with equipment and machinery that give off high levels of heat, these employees need to know how to recognize and prevent Heat Stress and other heat-related health problems. The Program includes information on situations leading to heat-related illnesses, heat stress, heat exhaustion and heat stroke, how the body reacts to heat, recognizing symptoms of heat stress, preventing heat-related illnesses, first aid, and more. The Program includes Lecture, Video, Employee Handouts, Employee Quiz, and Employee Training Certificates. Get a Quote for Heat Stress Training at your Location & Schedule Now! American CPR Training's "Indoor Air Quality" Program teaches employees the potentially harmful effects of poor air quality, and will help them prevent, identify and correct air quality problems. It is all around us, and we breathe it every day to stay alive. But how "clean" is the air that we breathe? While we know that it contains oxygen, hydrogen, and nitrogen, there may be other substances in the air around us that we do not know about... such as dust, mites, spores, bacteria, and hazardous fumes. The Program includes information on the sources of air contamination, adhesive/solvent fumes and vehicle exhaust, how a building's occupants affect indoor air quality, the importance of proper housekeeping, smoking and secondhand smoke, the use of humidifiers and de-humidifiers, pollutant pathways, including air ducts and crawlspaces, heating and air conditioning systems, the signs and symptoms of poor air quality, and more. The Program includes Lecture, Video, Employee Handouts, Employee Quiz, and Employee Training Certificates. Get a Quote for Indoor Air Quality Training at your Location & Schedule Now! American CPR Training's "Industrial Ergonomics" Program covers recognizing ergonomic problems, potential adverse effects, and pragmatic solutions employees can use to address to these problems. In recent years potential ergonomic problems have become a major concern in many business environments. Many facilities are now devoting significant time and effort to controlling the twisting, turning, stretching and other motions that place stress and strain on employees' body. It focuses on potential ergonomic problems in manufacturing, assembly, and warehouse situations. The Program includes information on physiology of the body, parts of the body most effected, eye strain, pragmatic preventative measures, correct use of office equipment, exercises and stress release, and more. The Program includes Lecture, Video, Employee Handouts, Employee Quiz, and Employee Training Certificates. Get a Quote for Industrial Ergonomics Training at your Location & Schedule Now! American CPR Training's "Planning for Laboratory Emergencies" Training Program discusses how to minimize damage and prevent injuries if a laboratory emergency should occur. A caustic acid hose has just erupted... an experiment has shown unexpected reactions... what should employees do to deal with these and other emergencies? Employees need to know when and how they should act in an emergency situation. Areas covered in the program include the emergency plan, types of emergencies, alarms and warning systems, contacting outside agencies, evacuation, fires, explosions and chemical spills, and more. The Program includes Lecture, Video, Employee Handouts, Employee Quiz, and Employee Training Certificates. This Training Program is one of 12 in the “Elements of Safety” Laboratory Safety Training Series. 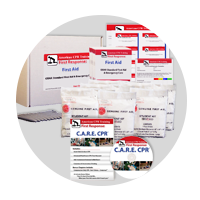 Get a Quote for Planning for Lab Emergencies Training at your Location & Schedule Now! 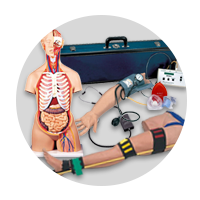 American CPR Training's "Laboratory Ergonomics" Training Program discusses the need to set up work areas correctly, as well as how to minimize the strain of using laboratory equipment, tools, and instruments. Many of the activities performed in a laboratory can exert stress and strain on muscles and joints... ultimately causing significant injuries. To work safely and maintain good ergonomic health, employees need to know how to avoid movements and work patterns that can be harmful. Areas covered in the program include parts of the body most susceptible to ergonomic problems, arranging work areas to minimize stress and strain, working from "neutral" positions, most and least stressful types of body movements, proper lifting techniques, effective stretching exercises, and more. The Program includes Lecture, Video, Employee Handouts, Employee Quiz, and Employee Training Certificates. This Training Program is one of 12 in the “Elements of Safety” Laboratory Safety Training Series. Get a Quote for Laboratory Ergonomics Training at your Location & Schedule Now! American CPR Training's "Safe Handling of Laboratory Glassware" Training Program discusses the nature of various types of glassware, and the problems it can cause... as well as the need for employees to use and maintain laboratory glassware safely. Broken glassware causes more laboratory accidents than any other hazard. Because it is so fragile, glassware can easily fracture if it is bumped, dropped, or too much pressure is applied to it. Some glassware accidents don't require much more than a band-aid, while others can result in a lot of blood and the need for medical attention. And the threat of contamination from the materials in a broken container can also be a serious problem. Areas covered in the program include Inspecting glassware before use, effects of extreme temperatures and pressures, matching glassware to the experiment, working with glass tubing, using personal protective equipment, storage and handling, washing and cleanup, and more. The Program includes Lecture, Video, Employee Handouts, Employee Quiz, and Employee Training Certificates. This Training Program is one of 12 in the “Elements of Safety” Laboratory Safety Training Series. Get a Quote for Safe Handling of Lab Glassware Training at your Location & Schedule Now! American CPR Training's "Laboratory Hoods" Training Program emphasizes how to properly use laboratory hoods and how to test them to ensure correct functioning... as well as discusses how hoods can protect an experiment, the facility, and most importantly, the employee. Many of the materials used in laboratories give off fumes, mists, vapors, particulates, or aerosols which are hazardous. To minimize exposure to these materials, special precautions need to be taken. This often means within a "hood". Areas covered in the program include why laboratory hoods are needed, protections afforded by hoods, how hoods function mechanically, proper use of laboratory hoods, testing and maintenance, and more. The Program includes Lecture, Video, Employee Handouts, Employee Quiz, and Employee Training Certificates. This Training Program is one of 12 in the “Elements of Safety” Laboratory Safety Training Series. Get a Quote for Laboratory Hoods Training at your Location & Schedule Now! American CPR Training’s “Elements of Safety” Laboratory Safety Training Series contains 12 Program s covering a wide range of safety methods, practices and tools that are needed in today’s laboratory environments, including: "Orientation to Laboratory Safety" - This program covers the most important safety issues that both new employees and "seasoned veterans" face in the laboratory; "Safety Showers and Eye Washes" - Correct use of both eye wash stations and safety showers are covered in this program; "Flammables and Explosives" - This program reviews proper handling procedures as well as the personal protective equipment that should be used when working with flammables and explosives; "The OSHA Formaldehyde Standard" - This program covers training required by the OSHA Formaldehyde Standard including safe work practices, personal protective equipment, spill/clean-up procedures, medical surveillance programs and more; "Electrical Safety in the Laboratory" -Principles of electrical energy, fuses, short circuits, "Lock-Out/Tag-Out", instrument repair and more are covered in this program; "Laboratory Ergonomics" - Ergonomic considerations such as working at a bench or hood, using a computer terminal, positioning compressed gas cylinders and safe lifting techniques are all addressed in this program; "Material Safety Data Sheets" -This program reviews the various sections of the MSDS, what information can be found in each section and most importantly, how this information can help employees as they go about their work; "Laboratory Hoods" - This program discusses when and why these hoods are used, as well as how to operate and maintain them; "Preventing Contamination" - This program shows how contamination occurs and reviews the steps that can be taken to prevent its spread; "Safe Handling of Laboratory Glassware" - Types of glassware used in the laboratory, configuring of glassware systems, making proper connections, handling techniques and cleaning/decontamination are all covered in this program; "Planning for Laboratory Emergencies" - This program covers when and how employees should act in an emergency to prevent injury, property damage or even loss of life; "Handling of Compressed Gas Cylinders" -Positioning cylinders properly, storage incompatibilities, fittings/connections and more are covered in this program. Get a Quote for Elements of Safety Training Series at your Location & Schedule Now! American CPR Training's "The OSHA Laboratory Standard" Program addresses the three major areas needed to comply with the Standard... general information about the Standard itself, commonly used chemicals, and safe chemical handling. This Program has been created specifically to assist facilities in fulfilling their 29 CFR Part 1910 (191.1450) OSHA Laboratory Standard employee-training requirements. The Program includes information on background of the standard, the chemical hygiene plan, chemical hazard concepts, the Material Safety Data Sheet (MSDS), common chemical "families", characteristics and potential effects of chemicals, container labeling, use of personal protective equipment, clean-up procedures, first aid, and more. The Program includes Lecture, Video, Employee Handouts, Employee Quiz, and Employee Training Certificates. Get a Quote for OSHA Lab Standard Training at your Location & Schedule Now! American CPR Training's "Ladder Safety" Program teaches that because they are so common, many employees take ladders for granted, and don't take the appropriate precautions when using ladders. Ladders are one of the most commonly used pieces of equipment in almost any work environment. From common stepladders to sophisticated extension ladders, they can be found almost everywhere. The Program includes information on ladder selection, inspection and maintenance, proper "set-up", overhead hazards, climbing and working safely, accidents and first aid, and more. The Program includes Lecture, Video, Employee Handouts, Employee Quiz, and Employee Training Certificates. Get a Quote for Ladder Safety Training at your Location & Schedule Now! American CPR Training's "Working with Lead Exposure in Construction and General Industry (OSHA Lead Standards)" Program addresses the major areas of employee training required by the regulations. Because of the widespread historical use of lead-based paints, as well as other materials containing lead, this program is useful to a number of different groups including building/ construction companies, manufacturers, recyclers and many others. Created specifically for OSHA's Lead Standards (both the General Industrial Standard as well as the Interim Final Rule for Construction), the Program is designed for employees in general industry and construction environments where lead and lead-based materials are found. The Program includes general information about contents of the standards, "measurement" concepts to include Permissible Exposure Limits (PEL), Time Weighted Average (TWA), and action levels, exposure assessment and monitoring, methods of compliance, hygiene and housekeeping, medical surveillance, and more. The Program includes Lecture, Video, Employee Handouts, Employee Quiz, and Employee Training Certificates. Get a Quote for Working with Lead Exposure Training at your Location & Schedule Now! American CPR Training's “OSHA Lead Standards” Retraining Program gives employees the information they need to refresh their knowledge of OSHA regulations... as cost effectively as possible. All of OSHA's recent regulations not only call for employees to receive initial training, but require that employees knowledge be "refreshed"... through retraining... on at least an annual basis. Since the detailed information that is required by the regulations has normally been given to employees during their initial training, retraining sessions can usually focus on things like reminding employees that they should be paying attention to the regulation in question... and heightening their "awareness" about how the regulation affects their jobs. The Program includes information on general information about the safety or health issues the regulation addresses, the basics of the regulation itself, major compliance requirements, safe work practices, personal protective equipment, and more. The Program includes Lecture, Video, Employee Handouts, Employee Quiz, and Employee Training Certificates. Get a Quote for OSHA Lead Standards Training at your Location & Schedule Now! American CPR Training's "Lock-Out/Tag-Out" Program uses environments that are familiar to employees working with both electric and hydraulic/pneumatic equipment and points out specifically where Lock-Out/Tag-Out procedures should be applied. Created specifically to assist facilities in complying with the employee training requirements of OSHA's"Lock-Out/Tag-Out" regulation, this Program discusses the OSHA Lock-Out/Tag-Out Standard, including the Energy Control Plan. The Program includes information on the regulation itself, "energized" machinery, lock-out/tag-out concepts and procedures, lock-out/tag-out devices, electrical systems, hydraulic and pneumatic systems, and more. The Program includes Lecture, Video, Employee Handouts, Employee Quiz, and Employee Training Certificates. Get a Quote for Lock-Out/Tag-Out Training at your Location & Schedule Now! American CPR Training's “Lock-Out/Tag-Out Regulatory Retraining” Program gives employees the information they need to refresh their knowledge of OSHA regulations... as cost effectively as possible. The program reviews highlights of the OSHA regulation and reminds employees of the importance of compliance. All of OSHA's recent regulations not only call for employees to receive initial training, but require that employees knowledge be "refreshed"... through retraining... on at least an annual basis. Since the detailed information that is required by the regulations has normally been given to employees during their initial training, retraining sessions can usually focus on reminding employees that they should be paying attention to the regulation in question... and heightening their "awareness" about how the regulation affects their jobs. Areas covered in the program include general information about the safety or health issues the regulation addresses, the basics of the regulation itself, major compliance requirements, safe work practices, personal protective equipment, and more. The Program includes Lecture, Video, Employee Handouts, Employee Quiz, and Employee Training Certificates. Get a Quote for Lock-Out/Tag-Out Retraining at your Location & Schedule Now! American CPR Training's "Machine Guard Safety" Program is designed to help employees understand the dangers of working with machinery... and how those risks can be minimized by proper installation and use of safety guards and devices. Machinery comes in many sizes and shapes, and it can present many different types of hazards. Each year thousands of employees across the country are injured by the machines they are most familiar with... and which they believe are safe. In fact the risk of accidents from powered machinery is so great OSHA estimates that lack of machine guarding is the second most frequent safety violation in industry today. The Program includes information on basic machine operations, fixed guards, adjustable and self-adjusting guards, interlock devices, drive train guards, perimeter guards, drop probe devices, restrain and pullback devices, adjustment, inspection and maintenance of safety guards, and more. The Training Program comes with a comprehensive Leader's Guide, reproducible Scheduling & Attendance Form, Employee Quiz, Training Log and Training Certificates. Get a Quote for Machine Guard Safety Training at your Location & Schedule Now! American CPR Training's "Materials Handling Safety" Program provides the information employees need to work safely when handling various types of materials. Many employees feel that moving and handling materials that they work with every day is an "ordinary" task, not something that they really need to be concerned about. Yet there are hundreds of thousands of "materials handling" accidents every year... from small splinters, cuts or scrapes... to crushed fingers, hands and feet... even deaths. The Program includes information on types of potential hazards, planning a job, personal protective equipment, proper lifting and moving techniques, other ergonomic considerations, hand trucks, carts and pallet trucks, mechanical lifting devices, and more. The Program includes Lecture, Video, Employee Handouts, Employee Quiz, and Employee Training Certificates. Get a Quote for Materials Handling Safety Training at your Location & Schedule Now! American CPR Training's "Medical Surveillance Programs" HAZWOPER Compliance Training Program discusses various types of "medical surveillance" and how it is used to evaluate the health of anyone who regularly works around hazardous materials. Hazardous materials and waste are part of many work situations, and can be found on many types of job sites. OSHA feels that it is so important for employees to know how to recognize these potentially dangerous substances (as well as how to handle and dispose of them properly) they have mandated that anyone working with these substances receive comprehensive training in this area. In 1976, the U.S. Environmental Protection Agency (EPA) issued the Resource Conservation and Recovery Act (RCRA) to regulate the handling of hazardous waste "from cradle to grave". Since then other regulations have followed, including OSHA's 29 CFR 1910.120, also known as HAZWOPER. As part of these regulations, there are varying requirements for employee training, depending on an employee's specific level of involvement with hazardous materials. Areas covered in the program include definition of medical surveillance, medical examinations, Permissible Exposure Limits (PELs), the written medical opinion, medical records, and more. The Program includes Lecture, Video, Employee Handouts, Employee Quiz, and Employee Training Certificates... and approximately two hours of classroom training. Get a Quote for Medical Surveillance Programs Training at your Location & Schedule Now! American CPR Training's "Monitoring Procedures and Equipment" HAZWOPER Compliance Training Program discusses the importance of detecting hazardous materials, as well as the equipment and procedures used in the process. Hazardous materials and waste are part of many work situations, and can be found on many types of job sites. OSHA feels that it is so important for employees to know how to recognize these potentially dangerous substances (as well as how to handle and dispose of them properly) they have mandated that anyone working with these substances receive comprehensive training in this area. In 1976, the U.S. Environmental Protection Agency (EPA) issued the Resource Conservation and Recovery Act (RCRA) to regulate the handling of hazardous waste "from cradle to grave". 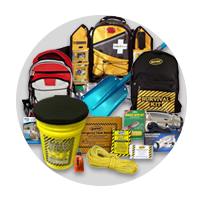 Since then other regulations have followed, including OSHA's 29 CFR 1910.120, also known as HAZWOPER. As part of these regulations, there are varying requirements for employee training, depending on an employee's specific level of involvement with hazardous materials. Areas in the program include detecting hazardous materials, direct-reading monitoring instruments, sampling collection devices, hazards that are "Immediately Dangerous to Life and Health" (IDLH), confined spaces, general on-site monitoring, perimeter, periodic and personal monitoring, and more. The Program includes Lecture, Video, Employee Handouts, Employee Quiz, and Employee Training Certificates... and is approximately two hours of classroom training. Get a Quote for Monitoring Procedures Training at your Location & Schedule Now! Get a Quote for Office Ergonomics Training at your Location & Schedule Now! American CPR Training's "Office Safety" Program teaches employees what hazards exist in office environments, and how important it is to use good safety practices as they go about their work. Office employees frequently have the feeling that since they don't work "out on a plant floor" safety isn't important in their jobs. Yet accidents and injuries in the office account for thousands of hours of lost time, and millions of dollars in Workers' Compensation and medical costs. The Program includes information on safety awareness, proper lifting, safety housekeeping, slips, trips & falls, electrical safety, and more. The Program includes Lecture, Video, Employee Handouts, Employee Quiz, and Employee Training Certificates. Get a Quote for Office Safety Training at your Location & Schedule Now! 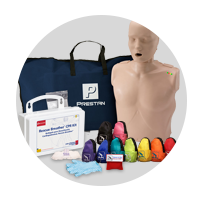 American CPR Training's "Personal Protective Equipment" Program teaches employees how easily injuries can occur and how to select appropriate Personal Protective Equipment for their jobs... and meets the training requirements for OSHA's Standard for Personal Protective Equipment. Government surveys show that the most common cause of workplace injuries today is due to employees not using Personal Protective Equipment as they work .Virtually everyone will experience one or more "on the job" injuries during their working life. In most cases appropriate equipment is readily available, yet employees do not recognize the need for this equipment, or take the time to use it. The Program includes information on areas of the body needing protection, available protective equipment, equipment variations, how to properly use PPE, matching equipment to the hazard, the limitations of various PPE, the proper use of PPE, and more. The Program includes Lecture, Video, Employee Handouts, Employee Quiz, and Employee Training Certificates. Get a Quote for Personal Protective Equipment Training at your Location & Schedule Now! American CPR Training's "Personal Protective Equipment HAZWOPER Compliance Program" instructs employees on the selection and use of personal protective equipment (such as chemical protective clothing and respirators) in environments where hazardous materials are present. Hazardous materials and waste are part of many work situations, and can be found on many types of job sites. OSHA feels that it is so important for employees to know how to recognize these potentially dangerous substances (as well as how to handle and dispose of them properly) they have mandated that anyone working with these substances receive comprehensive training in this area. In 1976, the U.S. Environmental Protection Agency (EPA) issued the Resource Conservation and Recovery Act (RCRA) to regulate the handling of hazardous waste "from cradle to grave". Since then other regulations have followed, including OSHA's 29 CFR 1910.120, also known as HAZWOPER. As part of these regulations, there are varying requirements for employee training, depending on an employee's specific level of involvement with hazardous materials. The Program includes information on the roles of Personal Protective Equipment, Level A Personal Protective Equipment, Level B Personal Protective Equipment, Level C Personal Protective Equipment, Level D Personal Protective Equipment, PPE and Heat Stress, and more. The Program includes Lecture, Video, Employee Handouts, Employee Quiz, and Employee Training Certificates... and is approximately two hours of classroom training. Get a Quote for PPE HAZWOPER Compliance Training at your Location & Schedule Now! American CPR Training's "Personal Protective Equipment and Decontamination Procedures" HAZWOPER Compliance Training Program... part of the HAZWOPER Annual Retraining Series... instructs employees on the appropriate use of personal protective equipment (such as chemical protective clothing) as well as how to remove contaminants that accumulate on clothing and equipment. Hazardous materials and waste are part of many work situations, and can be found on many types of job sites. OSHA feels that it is so important for employees to know how to recognize these potentially dangerous substances (as well as how to handle and dispose of them properly) they have mandated that anyone working with these substances receive comprehensive training in this area. In 1976, the U.S. Environmental Protection Agency (EPA) issued the Resource Conservation and Recovery Act (RCRA) to regulate the handling of hazardous waste "from cradle to grave". Since then other regulations have followed, including OSHA's 29 CFR 1910.120, also known as HAZWOPER. As part of these regulations, there are varying requirements for employee training, depending on an employee's specific level of involvement with hazardous materials. Areas covered in the program include safe work practices, engineering controls, levels of personal protection, heat stress, the need for decontamination, the Contamination Reduction Corridor (CRC), and more. The Program includes Lecture, Video, Employee Handouts, Employee Quiz, and Employee Training Certificates... and is approximately two hours of classroom training. Get a Quote for PPE & Decontamination Training at your Location & Schedule Now! American CPR Training's "Preventing Contamination in the Laboratory" Training Program emphasizes the need to recognize situations that could lead to contamination, and discusses what can be done to prevent contamination from occurring. Handling hazardous chemicals and specimens requires a great deal of caution. If substances are not properly controlled, hazards can spread and contaminate other materials, work areas... even employees themselves. With many laboratories using toxic, corrosive and carcinogenic chemicals, employees need to do all they can to prevent contamination. Areas covered in the program include how contamination occurs, general preventative measures, engineering controls, safe work practices, personal protective equipment, and more. The Program includes Lecture, Video, Employee Handouts, Employee Quiz, and Employee Training Certificates. This Training Program is one of 12 in the “Elements of Safety” Laboratory Safety Training Series. Get a Quote for Preventing Contamination in Lab Training at your Location & Schedule Now! American CPR Training's "Respiratory Safety" Program points out to employees why it is important that they learn to recognize... and guard against... respiratory hazards. Both OSHA and NIOSH have recently issued changes to their Respiratory Protection Training Requirements. This revised and updated program includes those changes... such as new fit testing protocols and cleaning/disinfecting procedures... as well as shows examples of the new "N" class respirator and other respirators being used in a variety of settings. One of the problems with many respiratory hazards (such as fumes or gases) is that employees can not easily "see" them. Even more visible hazards, such as dusts, are often accepted as part of a "normal" work environment. As a result, many respiratory problems only become clearly evident well after the original exposure. Yet once they occur, most respiratory problems are "chronic" and long lasting. The Program includes information on the physiology of the human respiratory system, how the respiratory system functions, common causes of respiratory problems, potential effects of hazards, respiratory safety practices, the use of respiratory safety equipment, and more. The Program includes Lecture, Video, Employee Handouts, Employee Quiz, and Employee Training Certificates. Get a Quote for Respiratory Safety Training at your Location & Schedule Now! American CPR Training's "Rigging Safety" Program points out to employees that over 90 percent of rigging-related accidents are caused by human error... and that they are the key to preventing these incidents. We have all heard the phrase... "A chain is only as strong as its weakest link". When it comes to crane operations, Rigging can often be that "weak link". How a load is attached to a crane can make the difference between a successful lift and an unfortunate accident. And Rigging-related accidents can often be deadly, due to the large and heavy loads that are lifted. A small miscalculation, or a brief moment of inattention, and tragedy could strike. Once a load falls not much can be done to stop it, and there is little time for people to move safely out of the way. A coworker can be injured or killed, and expensive equipment and cargo could be damaged or destroyed... even the crane itself. The Program includes information on physical and mental preparation, personal protective equipment, equipment inspection, hazard assessment, slings and hitches, hand signals, load angles, and more. The Program includes Lecture, Video, Employee Handouts, Employee Quiz, and Employee Training Certificates. Get a Quote for Rigging Safety Training at your Location & Schedule Now! American CPR Training's "Right-To-Know for Industrial Facilities" Program has been created specifically to assist industrial facilities of all types in complying with Federal, state and municipal "Right-To-Know" regulations, this Program also addresses the major education and training requirements in these "chemical hazard" laws. The Video Program both introduces employees to "Right-To-Know" regulations and provides training on the various types of chemicals found in industrial environments. The Program includes information on the background of the regulation, chemical hazard concepts, the Material Safety Data Sheet (MSDS), types of hazardous chemicals, characteristics and effects of various types of chemicals, safe handling practices, container labeling, use of Personal Protective Equipment (PPE), spills and cleanup, and more. The Program includes Lecture, Video, Employee Handouts, Employee Quiz, and Employee Training Certificates. Get a Quote for Right-To-Know (Industrial) Training at your Location & Schedule Now! American CPR Training's "Right-To-Know for Auto Service Facilities" Program has been created specifically to assist auto service facilities of all types in complying with Federal, state and municipal "Right-To-Know" regulations, this Program also addresses the major education and training requirements in these "chemical hazard" laws. The Program both introduces employees to "Right-To-Know" regulations and provides training on the various types of chemicals found in auto service environments. The Program includes information on background of the regulation, chemical hazard concepts, the Material Safety Data Sheet (MSDS), types of hazardous chemicals, characteristics and effects of various types of chemicals, safe handling practices, container labeling, use of Personal Protective Equipment (PPE), spills and cleanup, and more. The Program includes Lecture, Video, Employee Handouts, Employee Quiz, and Employee Training Certificates. Get a Quote for Right-To-Know (Auto Service) Training at your Location & Schedule Now! American CPR Training's "Right-To-Know for Building and Construction Companies" Program has been created specifically to assist building and construction companies of all types in complying with Federal, state and municipal "Right-To-Know" regulations, this Program also addresses the major education and training requirements in these "chemical hazard" laws. The Video program both introduces employees to "Right-To-Know" regulations and provides training on the various types of chemicals found in building and construction environments. The Program includes information on background of the regulation, chemical hazard concepts, the Material Safety Data Sheet (MSDS), types of hazardous chemicals, characteristics and effects of various types of chemicals, safe handling practices, container labeling, use of Personal Protective Equipment (PPE), spills and cleanup, and more. The Program includes Lecture, Video, Employee Handouts, Employee Quiz, and Employee Training Certificates. Get a Quote for Right-To-Know (Construction) Training at your Location & Schedule Now! American CPR Training's "Right-To-Know for Healthcare Facilities" Program has been created specifically to assist industrial facilities of all types in complying with Federal, state and municipal "Right-To-Know" regulations, this Program also addresses the major education and training requirements in these "chemical hazard" laws. The Program both introduces employees to "Right-To-Know" regulations and provides training on the various types of chemicals found in healthcare environments. The Program includes information on background of the regulation, chemical hazard concepts, the Material Safety Data Sheet (MSDS), types of hazardous chemicals, characteristics and effects of various types of chemicals, safe handling practices, container labeling, use of Personal Protective Equipment (PPE), spills and cleanup, and more. The Program includes Lecture, Video, Employee Handouts, Employee Quiz, and Employee Training Certificates. Get a Quote for Right-To-Know (Healthcare) Training at your Location & Schedule Now! 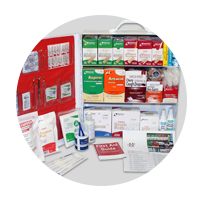 American CPR Training's "Right-To-Know for the Food Retailing Industry" Training Program both introduces employees to the "Right-To-Know" regulations and provides training on various groups of chemicals found in the Food Retailers environment. Created specifically to assist Food Retailers of all types in complying with Federal, state and municipal "Right-To-Know" regulations, the program addresses the major education and training requirements in these "chemical hazard" laws. Areas covered in the program include background of the regulation, chemical hazard concepts, the Material Safety Data Sheet (MSDS), types of hazardous chemicals, characteristics and effects of the types of chemicals, safe handling practices, container labeling, use of Personal Protective Equipment (PPE), spills and clean-up, and more. The Program includes Lecture, Video, Employee Handouts, Employee Quiz, and Employee Training Certificates. Get a Quote for Right-To-Know (Food Industry) Training at your Location & Schedule Now! American CPR Training's "Right-To-Know for Cleaning and Maintenance Operations" Program has been created specifically to assist cleaning and maintenance operations of all types in complying with Federal, state and municipal "Right-To-Know" regulations, this Program also addresses the major education and training requirements in these "chemical hazard" laws. The Video Program both introduces employees to "Right-To-Know" regulations and provides training on the various types of chemicals found in cleaning and maintenance environments. The Program includes information on background of the regulation, chemical hazard concepts, the Material Safety Data Sheet (MSDS), types of hazardous chemicals, characteristics and effects of various types of chemicals, safe handling practices, container labeling, Use of Personal Protective Equipment (PPE), spills and cleanup, and more. The Program includes Lecture, Video, Employee Handouts, Employee Quiz, and Employee Training Certificates. Get a Quote for Right-To-Know (Cleaning/Maint.) Training at your Location & Schedule Now! American CPR Training's "Right-To-Know for the Hospitality Industry" Program both introduces employees to "Right-To-Know" regulations and provides training on the various types of chemicals found in hospitality environments. Created specifically to assist industrial facilities of all types in complying with Federal, state and municipal "Right-To-Know" regulations, this Program also addresses the major education and training requirements in these "chemical hazard" laws. The Program includes information on background of the regulation, chemical hazard concepts, the Material Safety Data Sheet (MSDS), types of hazardous chemicals, characteristics and effects of various types of chemicals, safe handling practices, container labeling, use of Personal Protective Equipment (PPE), spills and cleanup, and more. The Program includes Lecture, Video, Employee Handouts, Employee Quiz, and Employee Training Certificates. Get a Quote for Right-To-Know (Hospitality) Training at your Location & Schedule Now! American CPR Training's "Right-To-Know for Laboratory Environments" Training Program both introduces employees to the "Right-To-Know" regulations and provides training on the various types of chemicals found in the laboratory environment. Created specifically to assist facilities with laboratory operations of all types in complying with Federal, state and municipal "Right-To-Know" regulations, the program addresses the major education and training requirements in these "chemical hazard" laws. Areas covered in the program include background of the regulation, chemical hazard concepts, the Material Safety Data Sheet (MSDS), types of hazardous chemicals, characteristics and effects of the types of chemicals, safe handling practices, container labeling, use of Personal Protective Equipment (PPE), spills and clean-up, and more. The Program includes Lecture, Video, Employee Handouts, Employee Quiz, and Employee Training Certificates. Get a Quote for Right-To-Know (Laboratories) Training at your Location & Schedule Now! American CPR Training's “Right-To-Know Regulatory Retraining” Program gives employees the information they need to refresh their knowledge of OSHA regulations... as cost effectively as possible. The program reviews highlights of the OSHA regulation and reminds employees of the importance of compliance. All of OSHA's recent regulations not only call for employees to receive initial training, but require that employees knowledge be "refreshed"... through retraining... on at least an annual basis. Since the detailed information that is required by the regulations has normally been given to employees during their initial training, retraining sessions can usually focus on reminding employees that they should be paying attention to the regulation in question... and heightening their "awareness" about how the regulation affects their jobs. Areas covered in the program include general information about the safety or health issues the regulation addresses, the basics of the regulation itself, major compliance requirements, safe work practices, personal protective equipment, and more. The Program includes Lecture, Video, Employee Handouts, Employee Quiz, and Employee Training Certificates. Get a Quote for Right-To-Know Regulatory Re-Training at your Location & Schedule Now! American CPR Training's "Safety Audits" Program informs employees about the goals of a Safety Audit, and how all workers should become involved. A single workplace accident can be devastating. Someone can be injured... or even killed. Property, equipment, or materials can be damaged or destroyed. And work could come to a complete standstill. All of these things can happen if efforts are not made to protect employees. One way to accomplish this is to conduct a Safety Audit. This is an examination of the work area to make sure it is as safe as possible and all potential hazards are corrected or removed. The Program includes information on a workplace analysis, administrative controls, engineering controls, personal protective equipment, emergency response procedures, regulatory compliance and safety/health training, accident investigation, a safety self-assessment, and more. The Program comes with a comprehensive Leader's Guide, reproducible Scheduling & Attendance Form, Employee Quiz, Training Log and Training Certificates. Get a Quote for Safety Audits Training at your Location & Schedule Now! American CPR Training's "Safety Orientation" Program addresses two of the most prominent safety issues confronting employers today, that of developing a good "safety attitude" in their employees...as well as providing "introductory safety training". Thinking about safety should be as natural as thinking about other aspects of the job. Employees need to anticipate the possibility of accidents before they happen. Workplace accidents cause millions of people to suffer painful injuries every year, and cost business almost $90 billion per year in medical bills, lost wages, and lost production time. The Program and includes information on developing "safety awareness", basics of accident prevention, hazard evaluation, safety housekeeping, tool use and maintenance, use of personal protective equipment, and more. The Program includes Lecture, Video, Employee Handouts, Employee Quiz, and Employee Training Certificates. Get a Quote for Safety Orientation Training at your Location & Schedule Now! American CPR Training's "Orientation to Laboratory Safety" Training Program shows both new employees and "seasoned veterans" the importance of safety in the laboratory... as well as reviews the OSHA regulations and good safety practices that apply to laboratory environments. A laboratory can be a dangerous place, and with the daily pressures to get things done employees can be tempted to take shortcuts and ignore safety precautions. And with the increasing complexity of the equipment and procedures involved in experiments, employees need an even greater knowledge of safety practices and procedures than they may have had in the past. Areas covered in the program include OSHA regulations, Material Safety Data Sheets (MSDS), planning safe experiments, personal protective equipment, ventilation controls, chemical storage, accidents and emergencies, waste disposal, and more. The Program includes Lecture, Video, Employee Handouts, Employee Quiz, and Employee Training Certificates. This Training Program is one of 12 in the “Elements of Safety” Laboratory Safety Training Series. Get a Quote for Orientation to Lab Safety Training at your Location & Schedule Now! American CPR Training's "Safety Showers and Eye Washes" Program reviews situations where safety showers and eye washes should be used, as well as how to properly use them. No matter how many precautions employees take, accidents sometimes happen. In these situations quick action is essential, and if the incident involves a hazardous material, using a safety shower or eyewash can be extremely important. The Program includes information on types of showers and eye washes, how to operate showers and eye washes correctly, chemical splashes, appropriate shower and eye wash techniques, helping an accident victim use a shower/eye wash, first aid, maintenance and testing of showers and eye washes, and more. The Program includes Lecture, Video, Employee Handouts, Employee Quiz, and Employee Training Certificates. Get a Quote for Safety Showers & Eye Washes Training at your Location & Schedule Now! American CPR Training's "Safety Showers and Eye Washes in the Laboratory" Training Program reviews the correct ways to use this equipment, and emphasizes the need for quick action after a chemical splash or spill in a laboratory. Employees may never need a safety shower or an eye wash... but if they do, knowing where they are located, and the proper procedures for using them, can prevent serious injury or possibly even save a life. Areas covered in the program include getting to eye washes and safety showers in an emergency, operating showers and eye washes, exposure to corrosive substances, testing eye wash and shower equipment, using showers and eye washes properly, and more. The Program includes Lecture, Video, Employee Handouts, Employee Quiz, and Employee Training Certificates. This Training Program is one of 12 in the “Elements of Safety” Laboratory Safety Training Series. Get a Quote for Showers/Eye Washes in Lab Training at your Location & Schedule Now! American CPR Training's "Suspended Scaffolding Safety" Program helps employees understand the dangers of working with scaffolds, and how these risks can be minimized by knowing the correct ways to erect, maintain, and use scaffolding equipment. Whenever a worker leaves the ground, the risk of an accident occurring increases dramatically. With more than 10,000 scaffold related injuries reported each year, OSHA has mandated that workers be trained on how to safely erect and use these work platforms. This Program will help employers meet the training requirements of OSHA's Scaffolding regulation. The Program includes information on responsibilities of a "scaffold expert", platforms and planking, the danger of power lines, platform hazards, personal fall arrest systems, guarding against falling objects, and more. The Program includes Lecture, Video, Employee Handouts, Employee Quiz, and Employee Training Certificates. Get a Quote for Scaffolding Safety Training at your Location & Schedule Now! American CPR Training's "Slips, Trips and Falls" Program teaches employees the situations that can lead to slips, trips & falls, and what they can do to avoid or prevent these accidents. Most employees don't give much thought to the prospect of slipping, tripping or even falling on the job. Yet these types of accidents account for more workplace injuries annually than any other accident category. Many of these injuries can be disabling... or even fatal. The Program includes information on why slips, trips and falls occur, common causes of accidents, potential health effects of resulting injuries, techniques used to avoid injury, the importance of safety shoes, safe use of ladders and similar equipment, and more. The Program includes Lecture, Video, Employee Handouts, Employee Quiz, and Employee Training Certificates. 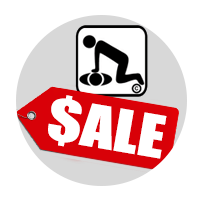 Get a Quote for Slips, Trips and Falls Training at your Location & Schedule Now! American CPR Training's "Tuberculosis in the First Responder Environment" Program includes recent changes in respiratory protection requirements. The Program is designed to assist facilities and operations whose employees have a risk of exposure to Tuberculosis. The Program also helps employees understand the nature of the disease, as well as what they can do to protect themselves from infection. Early in 1996 OSHA issued Tuberculosis Directives that enforce the 1994 Center for Disease Control and Prevention (CDC) Tuberculosis Prevention Guidelines, and allow for the wearing of new classes of NIOSH approved respirators/masks as well as HEPA masks. The Program includes information on history of tuberculosis as a disease, epidemiology and symptoms of tuberculosis, modes by which tuberculosis is transmitted, the CDC guidelines, the exposure control plan, recognition of exposure situations, practices to prevent exposure, administrative and engineering controls, selection and use of personal protective equipment (including respirators), and more. The Program includes Lecture, Video, Employee Handouts, Employee Quiz, and Employee Training Certificates. Get a Quote for TB in 1st Responder Environment Training at your Location & Schedule Now! American CPR Training's "Tuberculosis in the Healthcare Environment" Program includes the changes in respiratory protection requirements. The Program is designed to assist facilities and operations whose employees have a risk of exposure to Tuberculosis. The Program also helps employees understand the nature of the disease, as well as what they can do to protect themselves from infection. Early in 1996 OSHA issued Tuberculosis Directives that enforce the 1994 Center for Disease Control and Prevention (CDC) Tuberculosis Prevention Guidelines, and allow for the wearing of new classes of NIOSH approved respirators/masks as well as HEPA masks. The Program includes information on history of tuberculosis as a disease, epidemiology and symptoms of tuberculosis, modes by which tuberculosis is transmitted, the CDC guidelines, the exposure control plan, recognition of exposure situations, practices to prevent exposure, administrative and engineering controls, selection and use of personal protective equipment (including respirators), and more. The Program includes Lecture, Video, Employee Handouts, Employee Quiz, and Employee Training Certificates. Get a Quote for TB in Healthcare Environment Training at your Location & Schedule Now! American CPR Training's "Tuberculosis in the Institutional Environment" Program includes the changes in respiratory protection requirements. The Program is designed to assist facilities and operations whose employees have a risk of exposure to Tuberculosis. The Program also helps employees understand the nature of the disease, as well as what they can do to protect themselves from infection. Early in 1996 OSHA issued Tuberculosis Directives that enforce the 1994 Center for Disease Control and Prevention (CDC) Tuberculosis Prevention Guidelines, and allow for the wearing of new classes of NIOSH approved respirators/masks as well as HEPA masks. The Program includes information on history of tuberculosis as a disease, epidemiology and symptoms of tuberculosis, modes by which tuberculosis is transmitted, the CDC guidelines, the exposure control plan, recognition of exposure situations, practices to prevent exposure, administrative and engineering controls, selection and use of personal protective equipment (including respirators), and more. The Program includes Lecture, Video, Employee Handouts, Employee Quiz, and Employee Training Certificates. et a Quote for TB in Institutional Environment Training at your Location & Schedule Now! American CPR Training's "Understanding HAZWOPER" Training Program is designed to explain the regulations and to help employees begin to reduce or eliminate potential exposure to hazardous materials in their work environments. Hazardous materials and Waste are part of many work situations, and can be found on many types of job sites. It is so important that employees know how to recognize these potentially dangerous substances, as well as how to handle and dispose of them properly, that OSHA mandates that anyone working with these substances receive comprehensive training in this area. In 1976, the U.S. Environmental Protection Agency (EPA) issued the Resource Conservation and Recovery Act (RCRA) to regulate the handling of hazardous waste "from cradle to grave". Since then other regulations have followed, including OSHA's 29 CFR 1910.120, also known as HAZWOPER. As part of these regulations, there are varying requirements for employee training, depending on an employee's specific level of involvement with hazardous materials. Areas covered in the program include history of the HAZWOPER regulations, definitions of hazardous chemicals and waste, container labels, Material Safety Data Sheets (MSDSs), the site safety and health plan, HAZWOPER training requirements, the site control program, monitoring of hazardous substances, the medical surveillance program, decontamination, and more. The Training Program comes with a comprehensive Leader's Guide, reproducible Scheduling & Attendance Form, Employee Quiz, Training Log and Training Certificates. Get a Quote for Understanding HAZWOPER Training at your Location & Schedule Now! 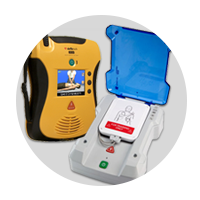 American CPR Training's "VDT (Video Display Terminal) Safety" Program reviews the safe use of VDTs, and offers practical solutions to many potential problems. Today much of the work we do utilizes Video Display Terminals (VDTs), whether it's in the warehouse or the accounting Department. And just like any other type of equipment, we need to know what potential problems may be involved in working with Video Display Terminals as well as how to use VDTs safely. The Program includes information on ergonomic factors of VDT use, eyestrain, the effect of lighting, possible radiation problems, fatigue and stress release, practical solutions to VDT problems, and more. The Program includes Lecture, Video, Employee Handouts, Employee Quiz, and Employee Training Certificates. Get a Quote for VDT Training at your Location & Schedule Now! Get a Quote for VDT Training at your Location & Schedule Now! American CPR Training's "Welding Safety" Employee Program reminds employees that there are indeed a number of hazards associated with Welding, and provides the information that they need to work safely when involved with Welding operations. People have been welding in one form or another for over 2,000 years. But like many industrial processes, Welding can be very dangerous. Whether an employee is working with the hazardous gases of an "Oxyacetylene" unit... the high voltage of "Stick Welding"... or the combination of gas and electricity that powers "MIG" and "TIG" operations... flying sparks, toxic fumes, electric shock and high voltage. The program includes information on getting "authorization" for welding operations, sparking and the risk of fire, guards and protective barriers, hazardous fumes and ventilation, the use of respirators, eye protection (welding helmets/filters/ glasses/goggles), using other personal protective equipment, inspecting welding equipment, proper welding safety procedures, and more. The Program includes Lecture, Video, Employee Handouts, Employee Quiz, and Employee Training Certificates. Get a Quote for Welding Safety Training at your Location & Schedule Now! American CPR Training's "Winter Safety" Program teaches employees how to plan ahead, look for potential hazards, and avoid dangerous situations that occur during the winter holiday season. Over the years employers have discovered that their employees miss more time from work as a result of "off-the-job" accidents than due to injuries experienced on the job. Many of these accidents occur during the Winter holidays, as employees do things that they are not familiar with or haven't done "since last year". Fortunately, most of these accidents can be prevented. The Program includes information on Christmas tree selection/ transportation/erection, using "string lights", safe use of extension cords and outlets, fires, fireplaces and chimneys, using candles, fire extinguishers and fire escapes, dressing for cold weather, working in the cold, walking and driving in ice and snow, and more. The Program includes Lecture, Video, Employee Handouts, Employee Quiz, and Employee Training Certificates. Get a Quote for Winter Safety Training at your Location & Schedule Now! American CPR Training's "Workplace Stress" Program helps employees identify potentially stressful situations and learn how to cope with them. In the fast-paced world that we Live, in, we are always encountering situations that can be stressful. Many of these occur at work. Yet stress, and its effects on our ability to do our jobs, is a subject that is often overlooked. The Program includes information on situations causing stress, positive versus negative stress, recognizing symptoms of stress, effects of stress on the mind and body, eliminating "stress factors", stress-relieving exercises, and more. The Program includes Lecture, Video, Employee Handouts, Employee Quiz, and Employee Training Certificates. Get a Quote for Workplace Stress Training at your Location & Schedule Now!